Research, the fundamental work that lays the foundation for game-changing innovations, takes time and dedication. It also requires cutting-edge equipment to enable those breakthrough discoveries and that requires funding. Every year faculty across the country submit proposals as part of the Department of Defense (DoD) Defense University Research Instrumentation Program (DURIP) program. These “asks” outline the rationale for the request while describing the nature of the research and the state-of-the-art equipment required to conduct it. Highly competitive, the annual DURIP awards process is a merit competition conducted jointly by the Army Research Office (ARO), Office of Naval Research (ONR), and Air Force Office of Scientific Research (AFOSR). This year the DoD received more than 685 proposals requesting $283 million in funding for research in materials, structures, and manufacturing science; quantum and nanosciences; computing and networks; electronics, electromagnetics, and electro optics; acoustics; neuroscience; fluid dynamics; robotics and artificial intelligence; and environmental, ocean, and life sciences and engineering. Approximately 160 of the proposals, representing 84 institutions, have been or will be funded for a total of $47 million, with individual award amounts ranging from $53,000 to $1.4 million. To date Notre Dame faculty — David Bartels, David Go, and Scott Morris — have received two Department of Defense (DoD) Defense University Research Instrumentation Program (DURIP) grants for 2017, totaling more than $773,000. 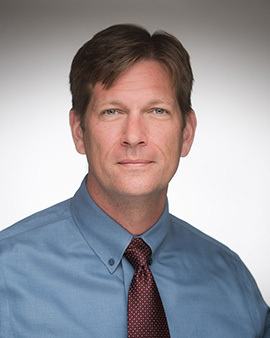 With funding for the proposal titled “A Tunable Laser System for Interfacial Electron Transfer Measurements in Reactive Gas/Liquid Systems,” Go and Bartels will purchase a tunable laser that will be used for high fidelity measurements of the absorption spectrum of plasma-solvated electrons in different solvents and in a variety of gaseous environments. The funding from the ARO, which totals $277,075, will allow Go, Bartels, and their team to characterize the basic properties of these electrons, including their structure, environment, and chemical behavior, in order to answer multiple unresolved questions about the nature of plasma-solvated electrons and their unique interfacial qualities. Go, the Rooney Family Associate Professor in the Department of Aerospace and Mechanical Engineering, explores a wide variety of topics in low-temperature plasma generation and chemistry, microfluidics and sprays and thermal management with applications in electronics cooling, energy conversation, biosensing and fuel reforming. 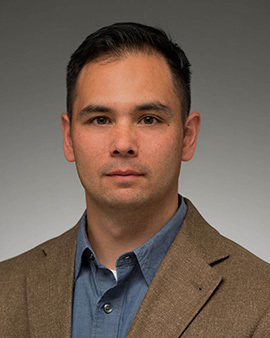 A recipient of the NSF Early Career Development Award, the AFOSR Young Investigator Research Award, and the Electrochemical Society Toyota Young Investigator Fellowship, Go is a Fellow of the American Society of Mechanical Engineers. Bartels, a professor in the Notre Dame Radiation Laboratory, studies the kinetics of radiation-induced chemistry — including free radical reactions in high-temperature solution — and radiation-enhanced corrosion. Solvated electrons are common in this chemistry, making their solvation structure in various environments of particular interest. Morris was awarded $496,801 by the ONR for his proposal titled “Continuous, Transonic Wind Tunnel with 2,700oF Core Flow for Turbomachinery Materials Research and Testing.” The equipment that will be purchased as the result of this award — a direct-fired gas heater and quenching system for testing up to 2,700oF — will augment the existing system in the Notre Dame Turbomachinery Laboratory. This will allow for the continuous component testing of aero-propulsion systems, replicating conditions [flow speed, pressure, temperature and spatial gradients] of an engine, and testing new engine components, at extreme spatial temperature gradients. 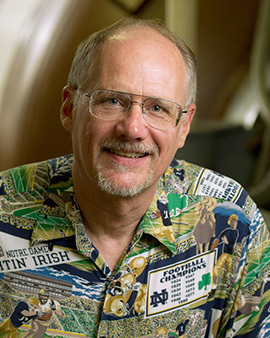 Morris, a professor in the Department of Aerospace and Mechanical Engineering, also serves as director of research at the Notre Dame Turbomachinery Laboratory. He studies turbomachinery and acoustics, with a focus on improving components of gas turbine engines for propulsion and power system applications. Originally published by Nina Welding at conductorshare.nd.edu on August 07, 2017.